my Samsung j3 prime has an app I don't believe should be on it sound picker? When you leave an app that was running in the screen, it stops running, but Android keeps its process in memory. This means that next time you want that app in the foreground, or next time it runs a service in the background (e.g. to check for email), the app can run again without Android having to load it from storage again. This means it starts faster and uses less battery. 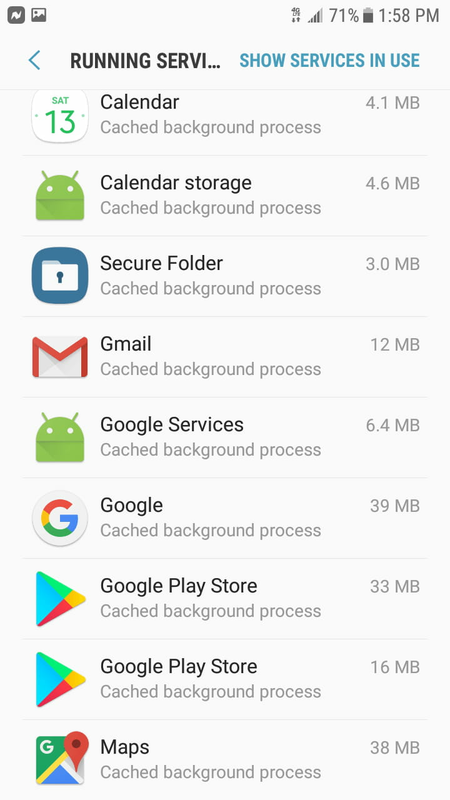 Apps that have been kept alive but not running in this way are called cached background processes. They still use some RAM, but Android will automatically remove them from RAM if it needs to free it up for running apps, so they don't affect the amount of RAM available to other apps. is sound picker supposed to be on Samsung j3 prime? and all will come to normal way as it was new..